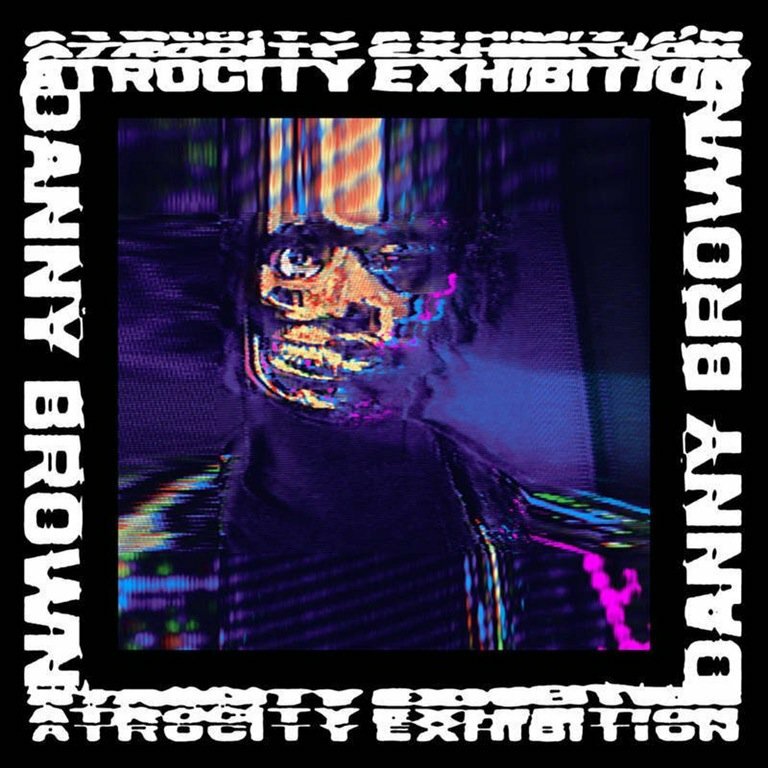 After an extended absence, off-the-wall rapper Danny Brown returns with his third solo effort, Atrocity Exhibition, continuing to establish himself as one of the biggest risk-takers in the music industry. Brown’s uncanny ability to pick out any piece of music, regardless of the sonic world it comes from and flow on it is impressive. It makes the album an absolutely mindblowing listening experience to hear this multitude of sounds which wouldn’t appear on even the most creative rapper’s album. Only the mind of Danny Brown could produce something like this. That being said, although I commend his risk-taking pursuits, about half of the album does not click for me personally at all, veering off the road into territory that is simply too weird. His yelping, high-pitched voice and abstract flow does not make things easier on the listener either. However, when it does, the fact that a musician exists who can make the insane concept we are hearing work is absolutely incredible. The album doesn’t exactly have a sound — it is more of an effort to throw everything possible at the wall of a hip-hop album, which is quite astounding because most of it is done by one man: Paul White, who has only made high-profile appearances on Brown albums. The album spans from heavy guitars, to tribal chants, to horror movie-style screeching bells and violin noises, to chilled funk, to tropical slide guitar, to what could be construed as hip-hop beats; only with the most experimental rhythmic patterns I may have ever heard. Another strange aspect of the album is the length of the tracks, many not even breaking the 3-minute barrier. It makes the album sound like a collection of not fully fleshed-out experiments at times — and when the songs are great, they often end too abruptly. I cannot stress enough how crazy of a listen Atrocity Exhibition really is. While capable of making interesting tracks on his own, I have always thought that Danny Brown truly shines as a complement to a larger posse track like A$AP Rocky’s “1 Train”, where the chasm of difference between him and other rappers is made evident. “Really Doe” is that track here, each rapper turning in outstanding verses and none outshining the other. Ab-Soul, Kendrick Lamar and Earl Sweatshirt show up here to flex their technical muscles over a beat constructed of eerie and menacing bells from legendary producer Black Milk. Another highlight is “Ain’t It Funny”, which could be a contender for the best rap song recorded this year. Brown’s flow is furious, weaving around squawking horns blaring indiscriminately over what sounds like a marching band from hell, plodding forward with a driving and straightforward beat. As previously mentioned, the fact that this is a song which I am capable of nodding my head to is ridiculous, and the fact alone that Brown actually pulled it off puts him on another level. While I have seen many people mention that this album is one that takes forever to grow on you, and my opinion may change later, some tracks have good intentions but are honestly an absolute mess. While Brown displays some things we never thought could be on a hip-hop album, he also displays some things which decidedly should not be. His raps on “Golddust” are not particularly bad, but the fact that his flow is repeatedly interrupted by a repetitive sample of a crunching guitar pattern which could be found in death metal detracts completely from the song. Some tracks like opener “Downward Spiral” are mismatched with Brown’s vocals. His voice is really something indescribable that needs to be heard to be understood. If you thought Kendrick Lamar and Chance the Rapper had weird voices, you thought wrong. The beat is introspective and uneventful, and Brown’s serious lyrics and disjointed contemplative flow come across as laughable due to his absurd timbre. I really have no idea what to make of this album, and a more concrete opinion will surely develop upon further listens. For now, however, this is hands down the most confusing thing I have listened to all year, and the amount of creative energy that went into the project alone is something to be commended. However, I’m not sure if I really want to do any more full listens due to the headache-inducing nature of some of the messier tracks. If nothing else, Danny Brown has made an enormous statement.